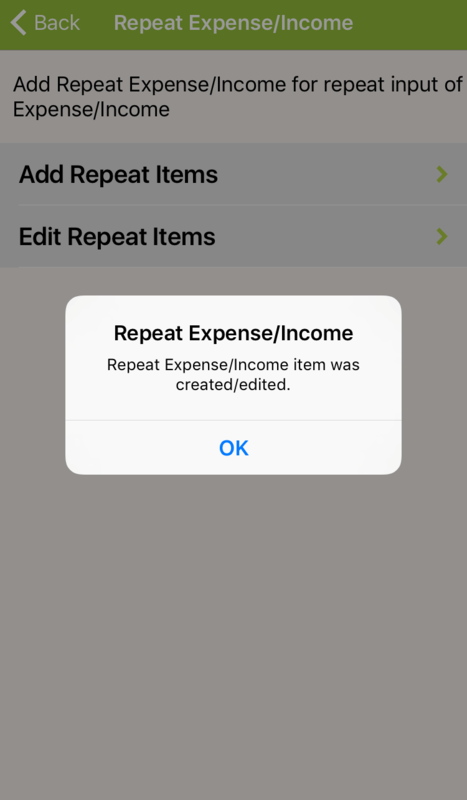 Quick Money Recorder helps you saving precious time with the Repeat feature! Follow the instructions below to help you entering scheduled and repeated transactions. 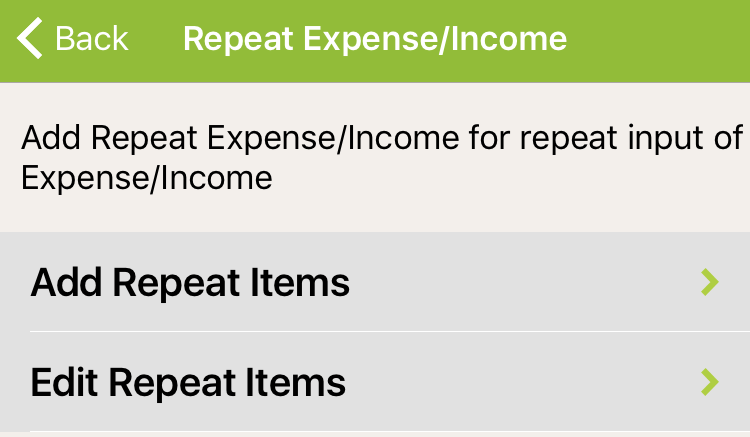 From QMR main screen, go into Settings>Totals/Record Settings and scroll down to Repeat Expense/Income. 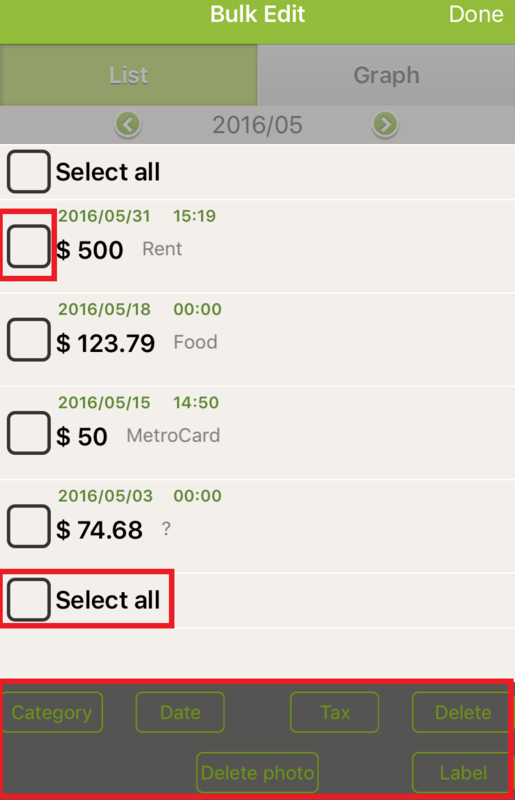 From the next screen, select “Add Repeat Items”. You will be able to add the details of your scheduled transaction. In this example, we will enter a $500 rent paid every month on the 25th. Press the field you wish to amend. 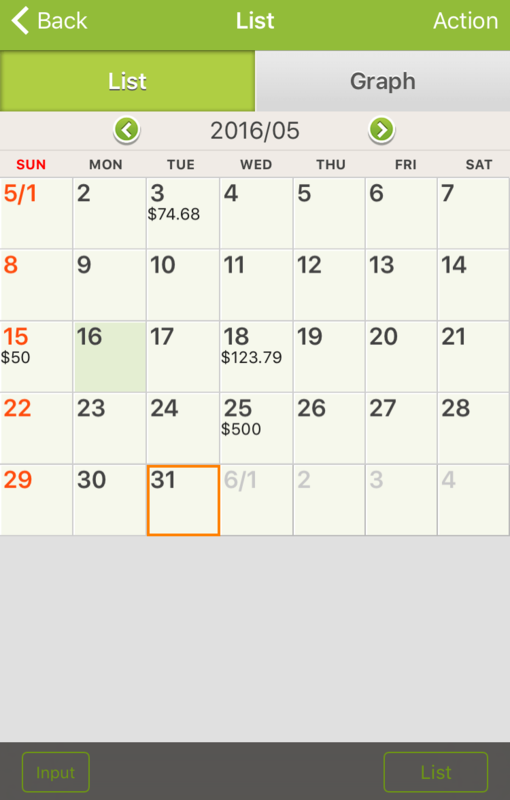 The first field lets you select the day on which the recurring transaction is scheduled. We selected the 25th on the 2nd screenshot. 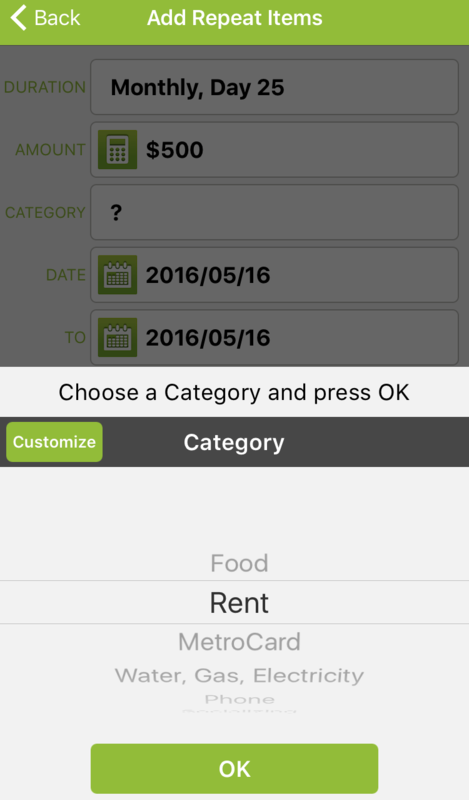 Select the 2nd field to enter the amount and the 3rd field to assign a category. 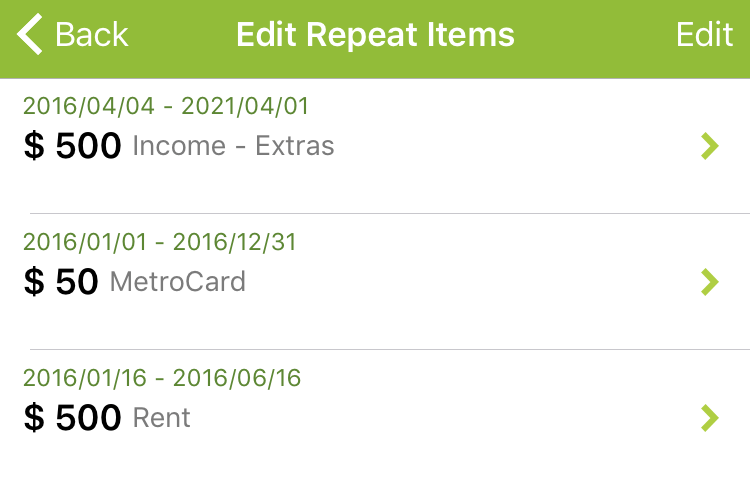 Choose the period during which the recurring transaction repeats. 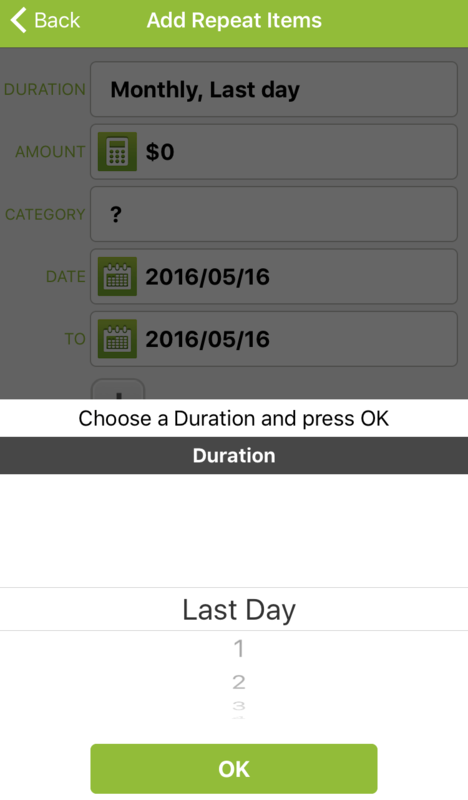 Tip: You can pick a date anytime in the past but the duration can only last for 5 years from today’s date. For example, if today’s date is the 16th of May 2016, you can set your transaction to repeat until May 2021 and have it started whenever you want. Press “Back” or the arrow at the top left of the screen. You will see a confirmation message as shown below. 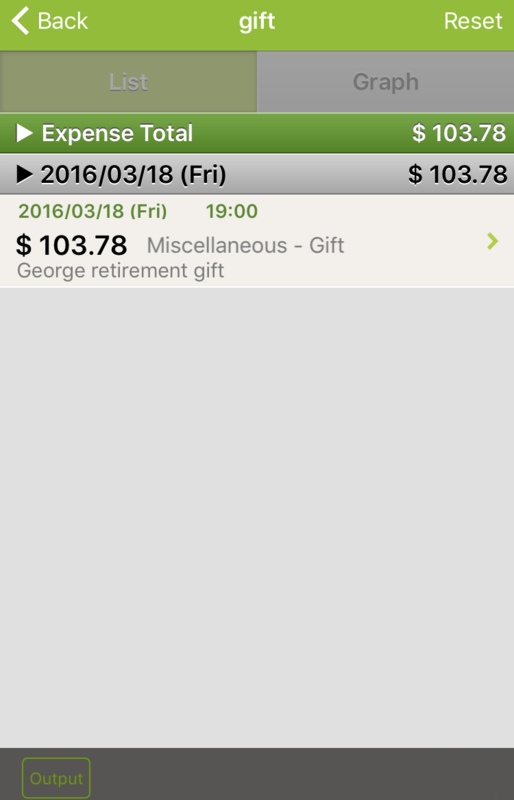 Your recurring transaction will automatically be added to your List and in the Calendar (screenshot below). 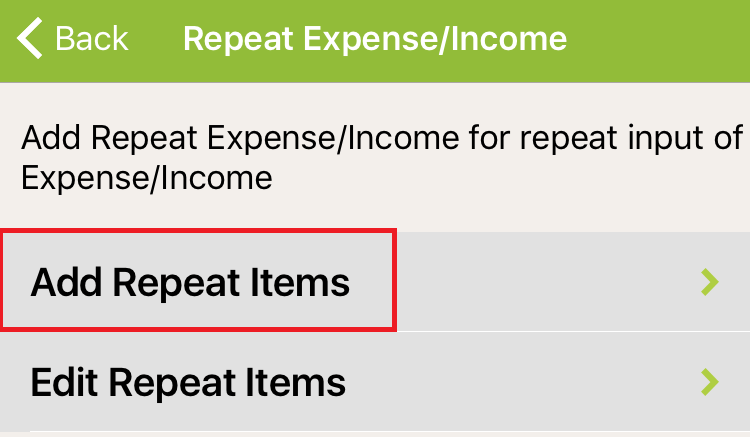 From the Repeat Expense/Income section, go into “Edit Repeat Items”. You will see all your scheduled transactions listed. You can edit them by pressing on the top right of the screen. Press the red button on the right to delete. 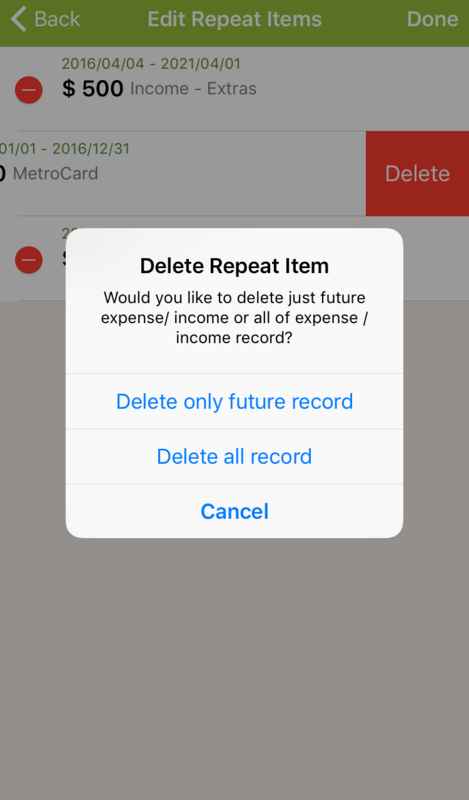 QMR will let you choose between deleting all records or keeping the recurring transaction up to today’s date. 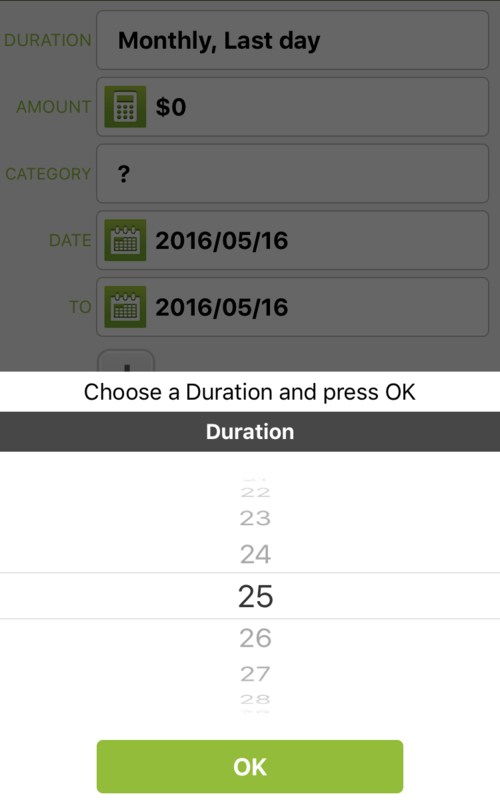 To edit the recurring transaction’s details, you just need to select the field you wish to amend. 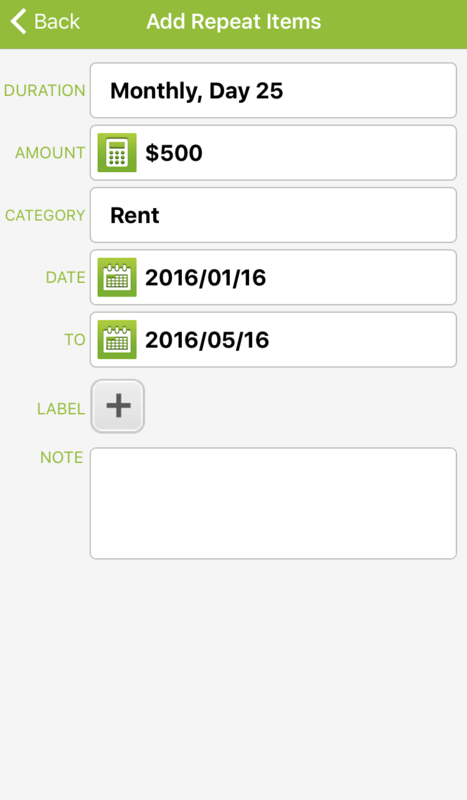 You will be able to easily change the amount, duration, start and end dates, category, picture, label and note. 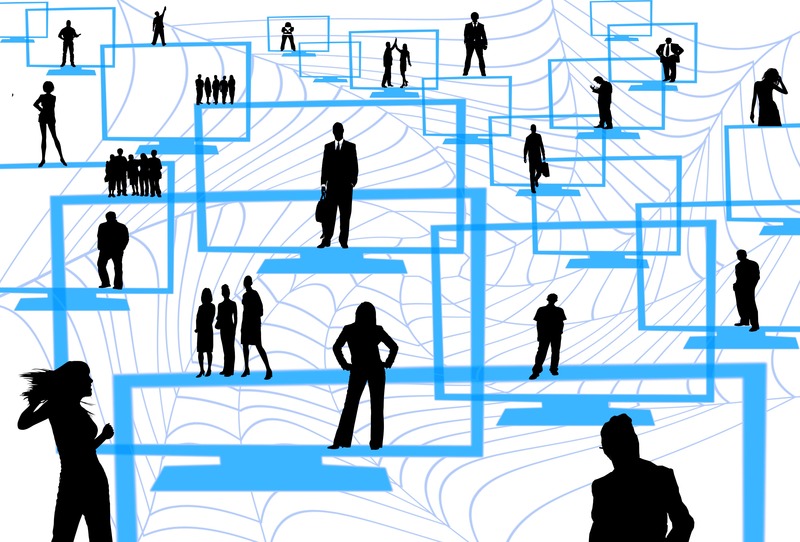 Want to know how to amend multiple transactions at once? 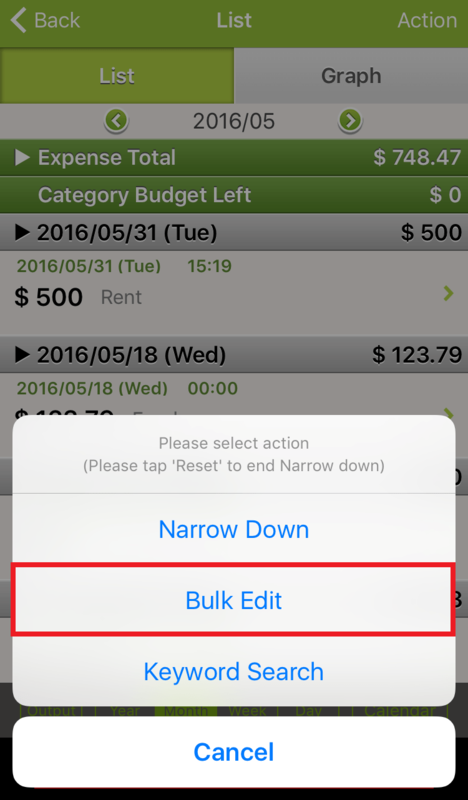 Have a look at how to use the Bulk Edit feature. 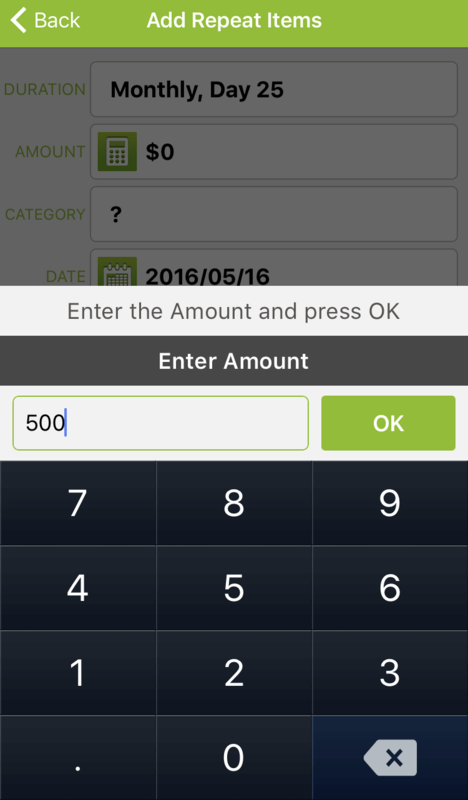 Quick Money Recorder (QMR) gives you a lot of option to enter and amend elements of your budget. 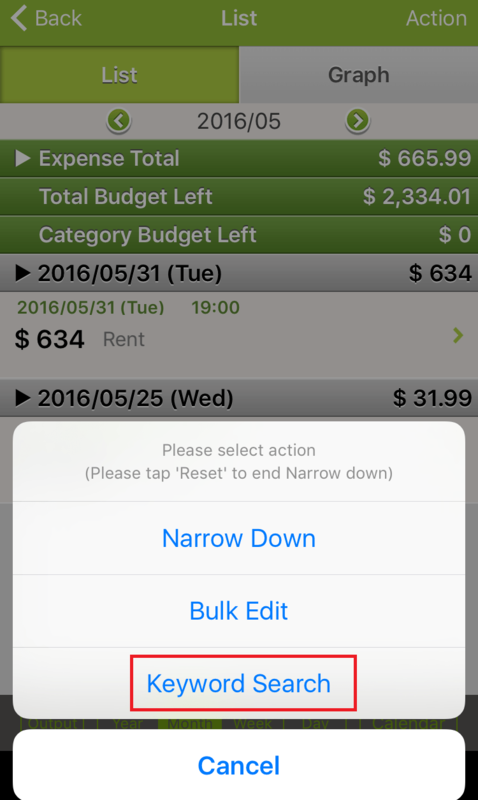 In this blog post, we will show you how you can easily amend multiple expense entries in a few simple steps using the “Bulk Edit” feature. What is the “Bulk Edit” feature? Glad you asked, follow the guide below. 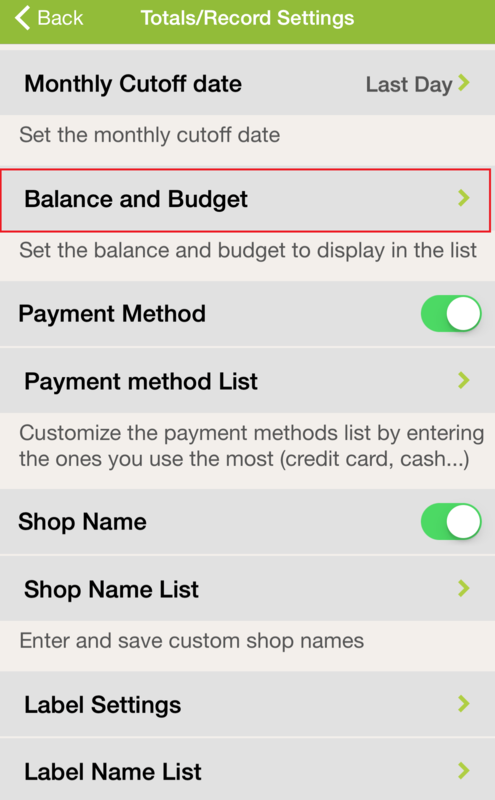 First you need to display your spending and income entries under the “List” view. From QMR’s main screen, tap on “List” at the bottom left. Then from the list screen, select “Action” at the top right. You will be given a couple of options including “Bulk Edit”. 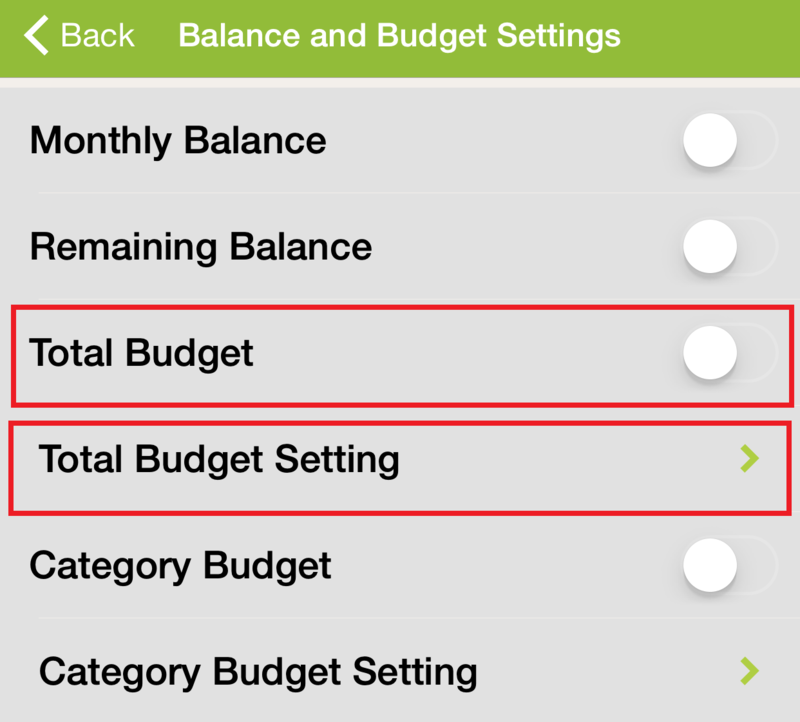 You can now select the expense or income entries you wish to amend by ticking the box on the left or select them all. 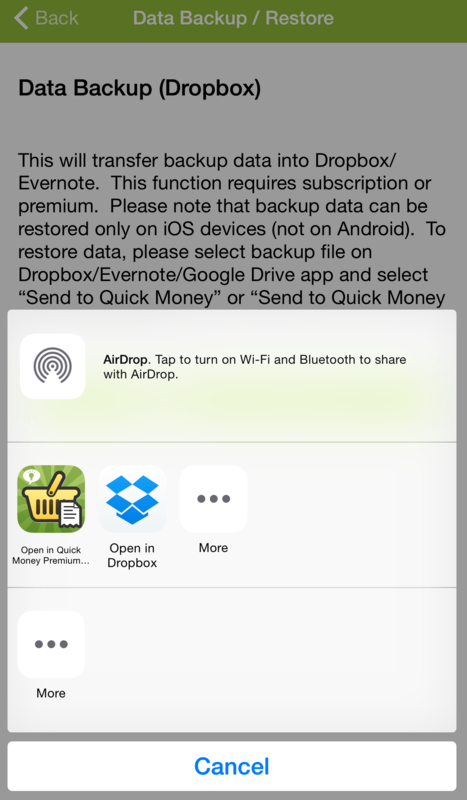 The amendment options are displayed at the bottom of the screen. 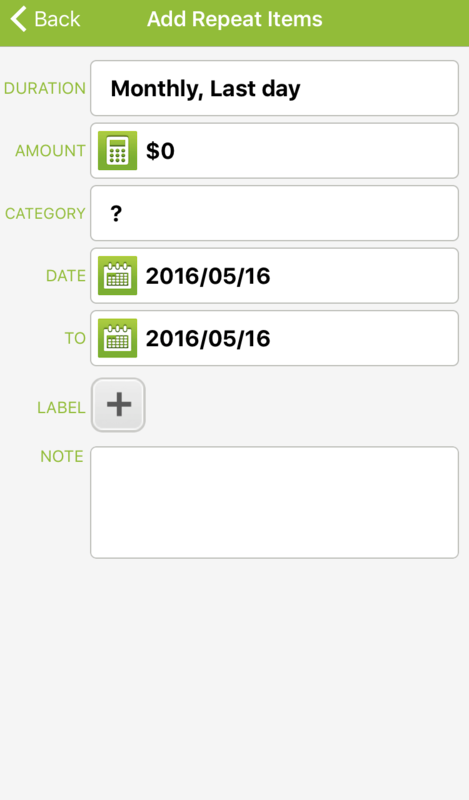 In the example below, let’s amend the entry which is not categorized (the category name will be displayed instead of the question mark). 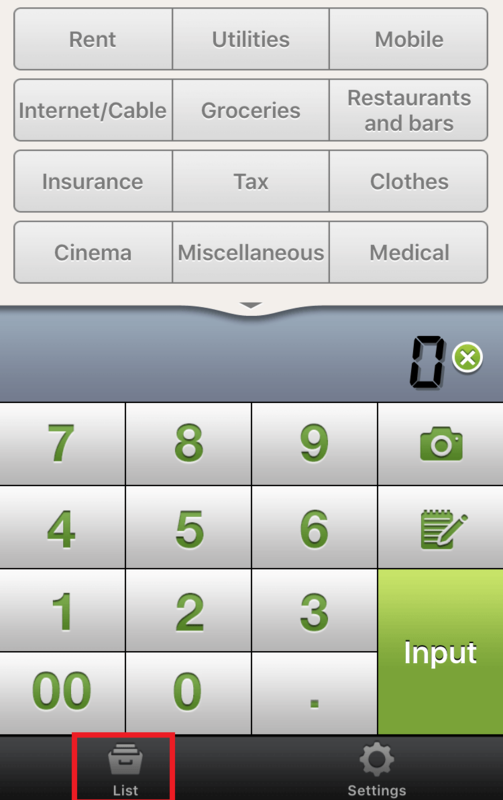 Tick the box on the left of the amount and press “Category” at the bottom of the screen. 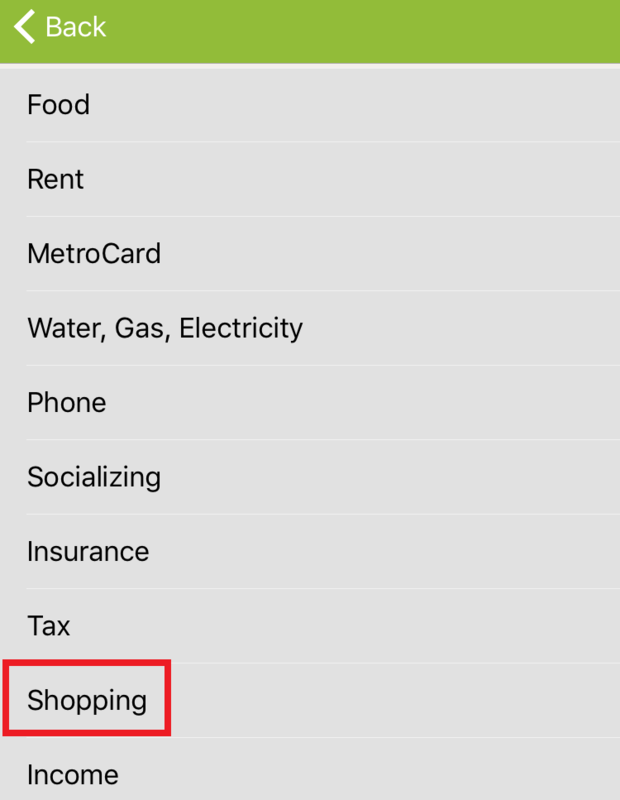 Let’s assign the Shopping category to the amount. To do this, select “Category” at the bottom of the screen. You will then see the list of all your categories. 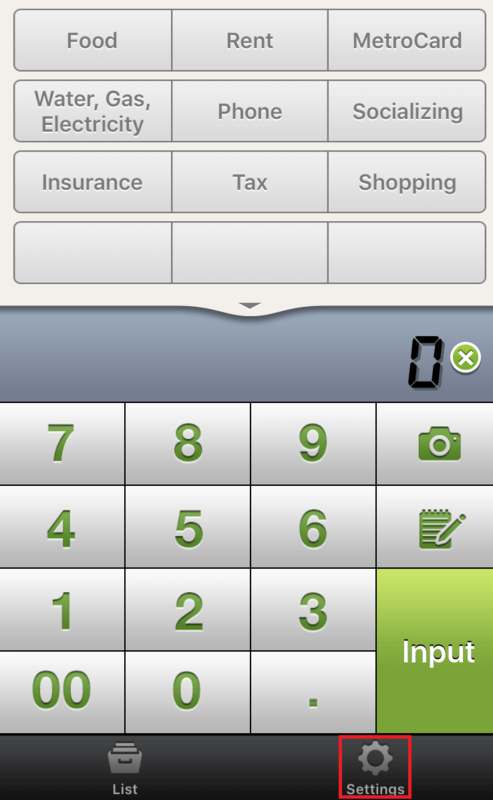 Just press the one that applies to the amount and “Back” at the top left of the screen to confirm your selection. Done! The category is assigned. If you have no further change to make just tap “Done” at the top right of the screen. You want to discover more about how to use QMR? 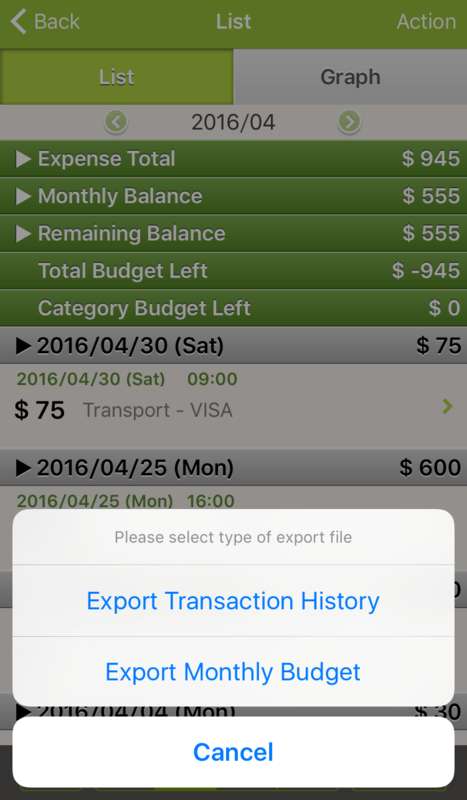 What about having a look at how to export your budget to excel? 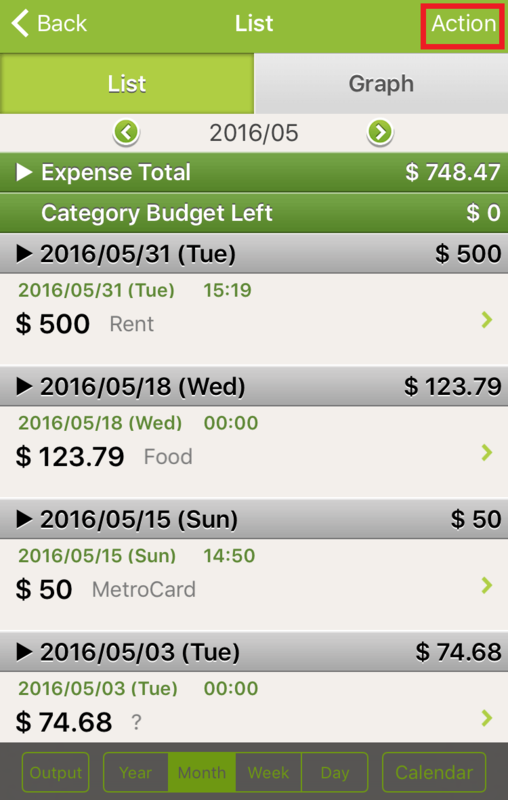 QMR doesn’t only track your spending but also helps you maintain a budget! After listening to what Quick Money Recorder users had to say, we found out that some of them didn’t know about the budget feature. 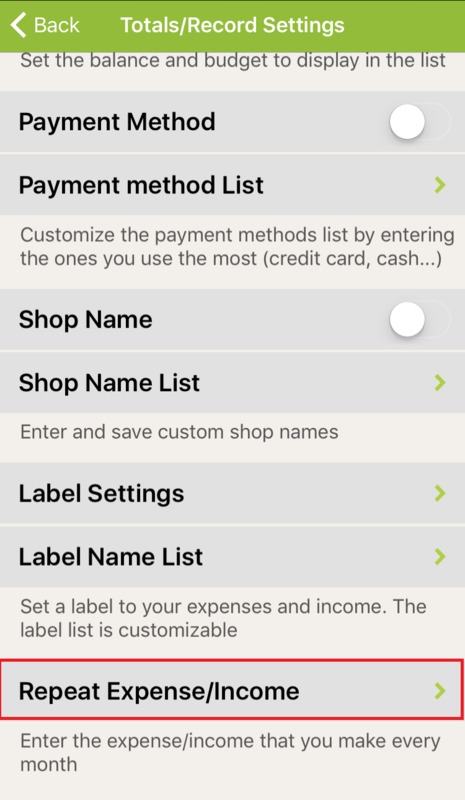 You should already know that QMR is great to record the money you spend and categorize it in categories. Now the second step for your financial health is to create a budget. We will explain how to do this in QMR. Where do I enter the total budget amount? 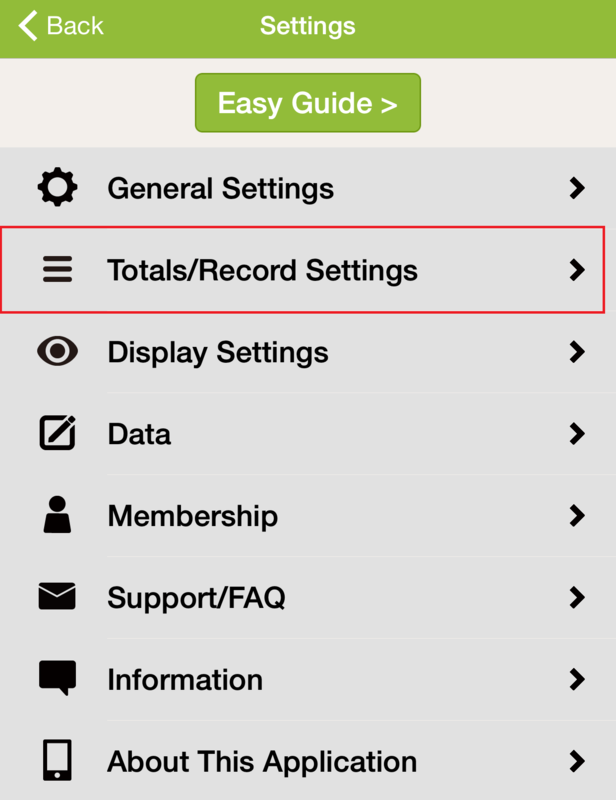 Launch Quick Money Recorder and go into “Settings” and select the “Totals/Record Settings”section. On the next screen, select “Balance and Budget”. OK done but what changed? How do I know which amount to set? That’s the $10000 question… A budget is a very personal matter and you need to perform a wallet audit before you can decide of how you wish to spend your money. We wrote this blog post to guide you. 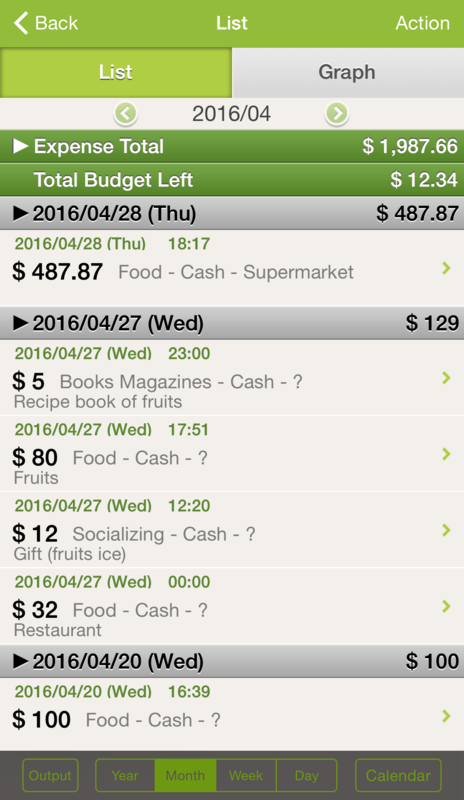 In the meantime we wish you happy money tracking and budgeting! I just switched phones, how do I transfer my QMR data? You have just upgraded your phone and need to transfer your QMR data? No problem, we’ll explain to you how to proceed and give you a couple of options. 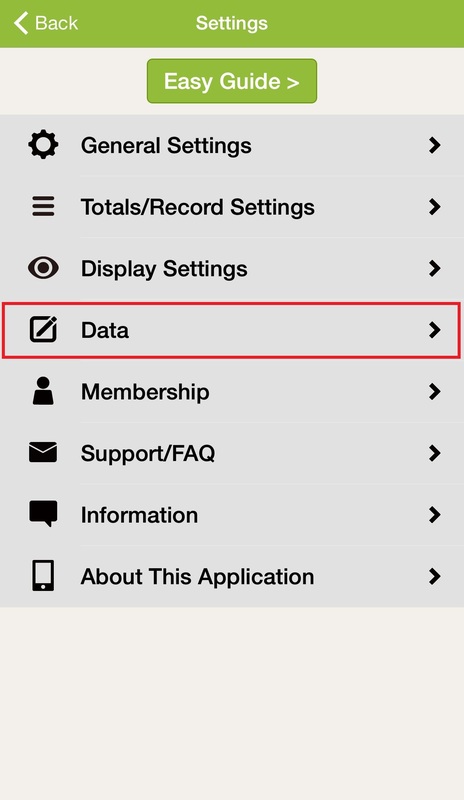 Once you are logged into your account, your data saved in our servers will be synced in your new phone! (If you wish to see the detailed steps in order to perform an email backup, you can have a look at this previous blog post). 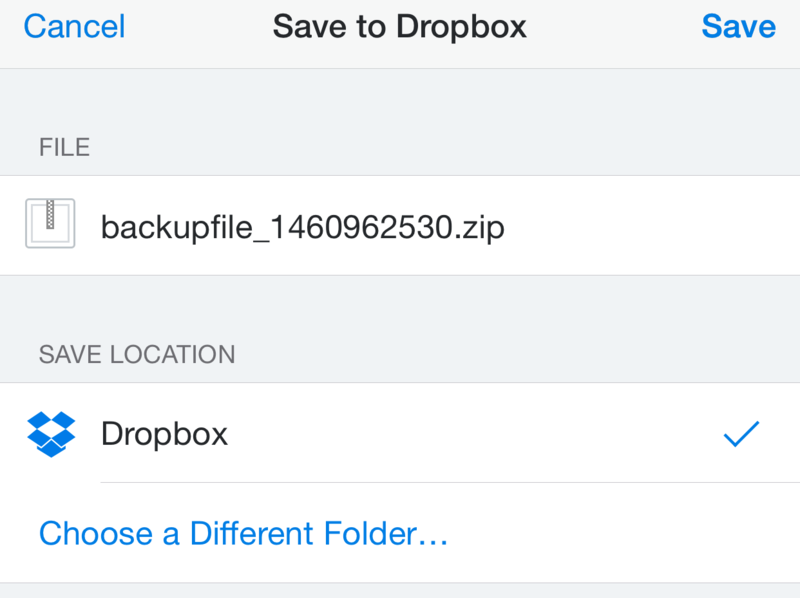 When you backup your data by email or by using Google Drive or Dropbox, QMR will automatically create a zip file. 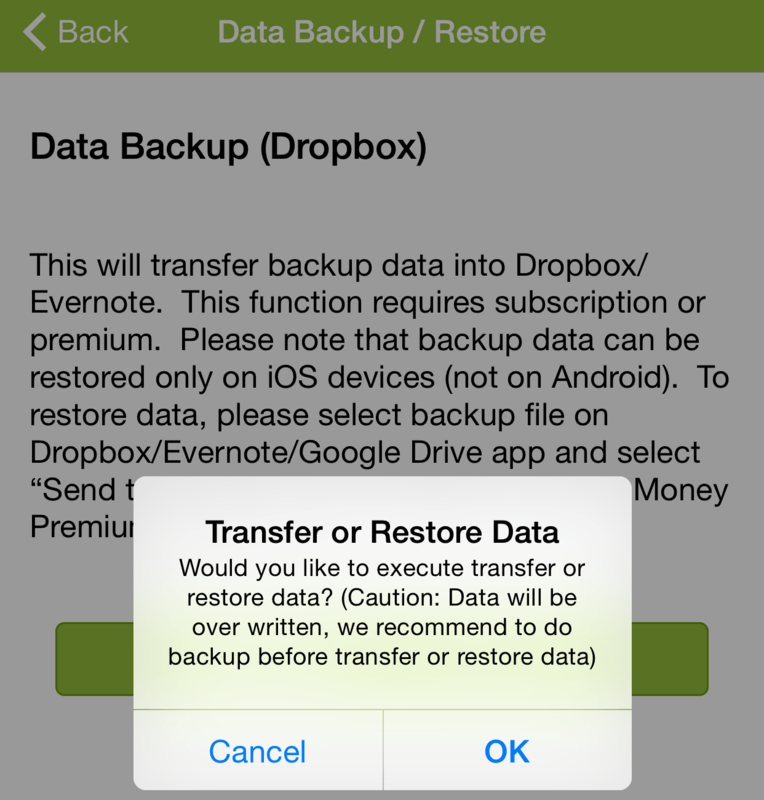 We will show you how to backup your data on Dropbox on the screenshots below but the procedure is the same for Google Drive. 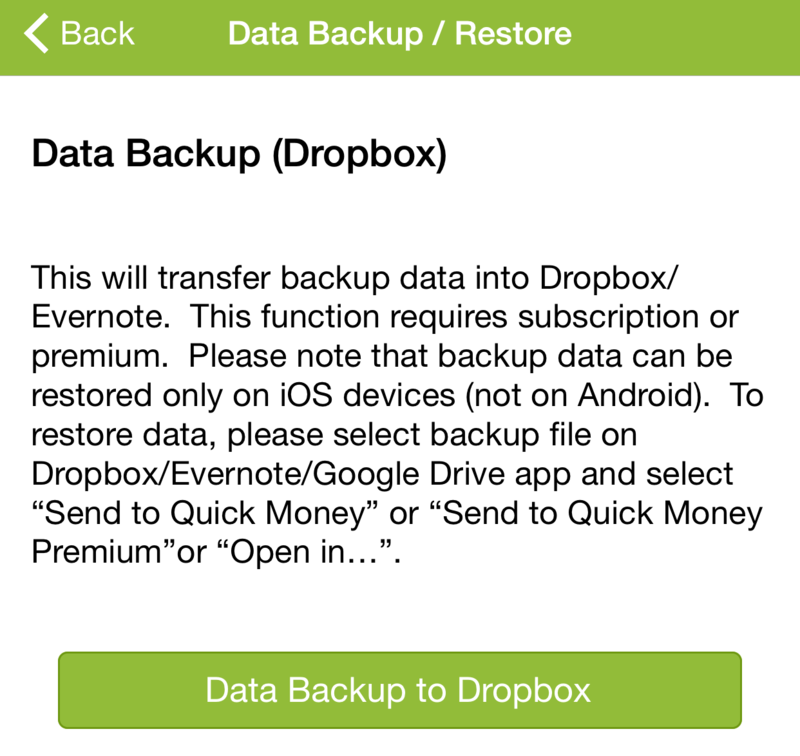 Note: You will need to have the Dropbox/Google Drive mobile app installed on your device. 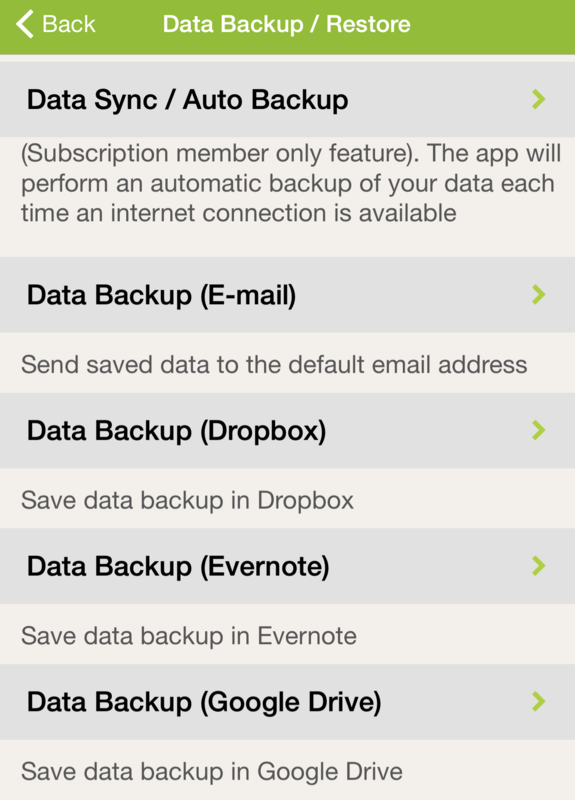 In QMR Settings go into Data>Data Backup/Restore and choose the data backup method you prefer. 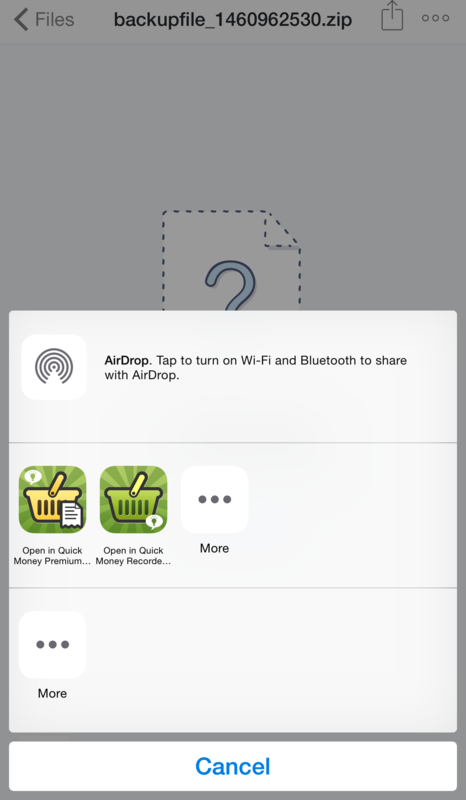 We chose Dropbox for the screenshots below. 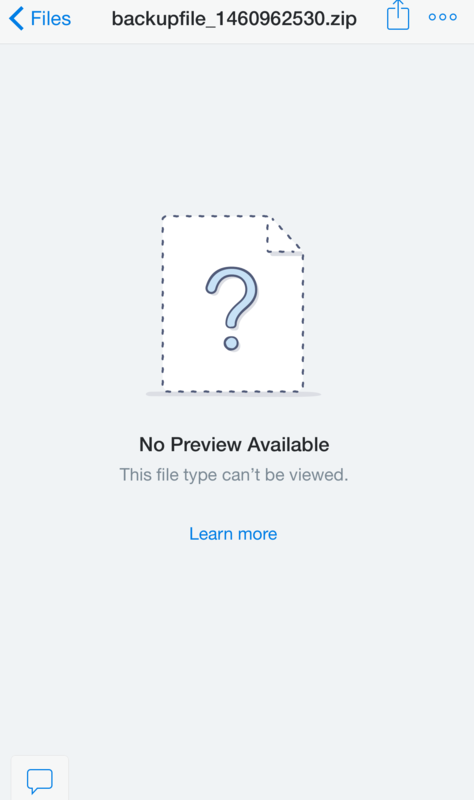 Choose “Open in Dropbox” or “Open in Google Drive”. Your data has been restored to your new device! Note: We used an iphone for the screenshots but the process is the same. 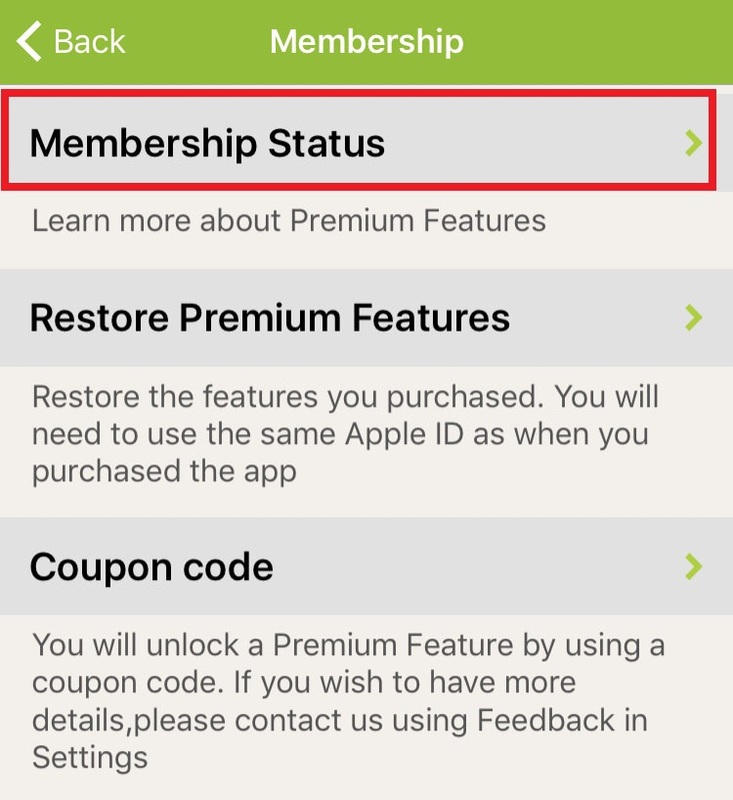 If you just purchased a Cloud subscription and want to know how to share data between your phone and tablet, we described how to register your account in this blog post. 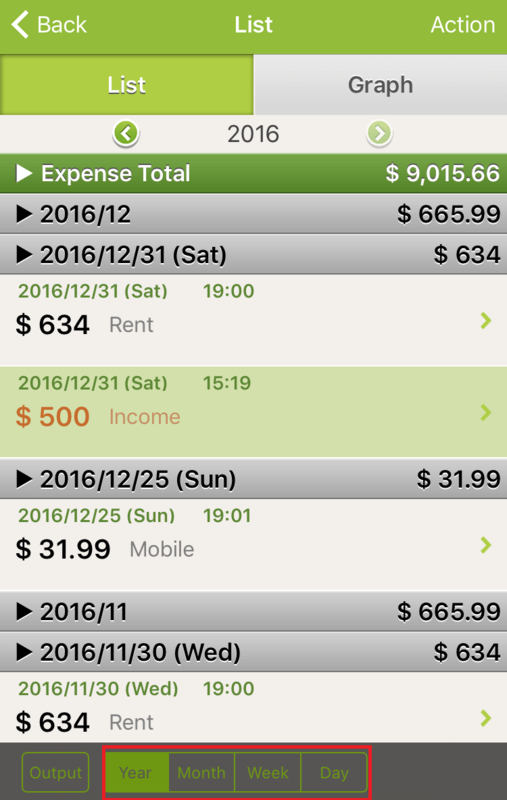 How can I share my QMR expenses? 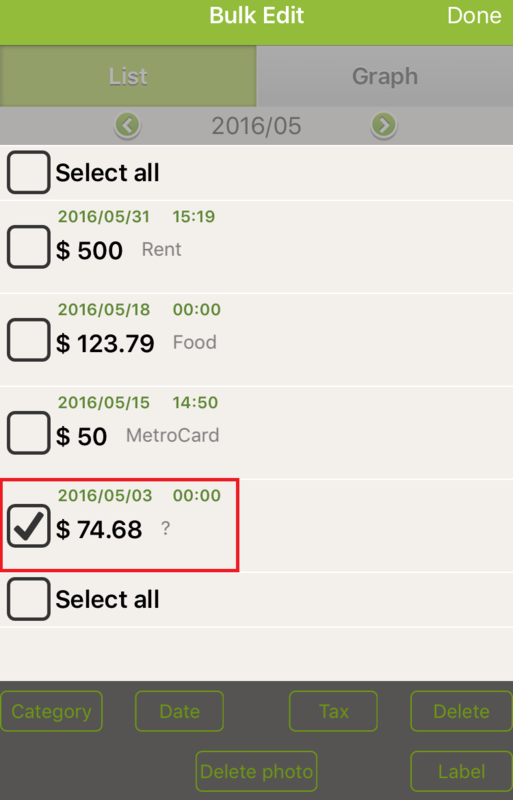 We received users queries asking how they can share their expense with their significant other or business partners. 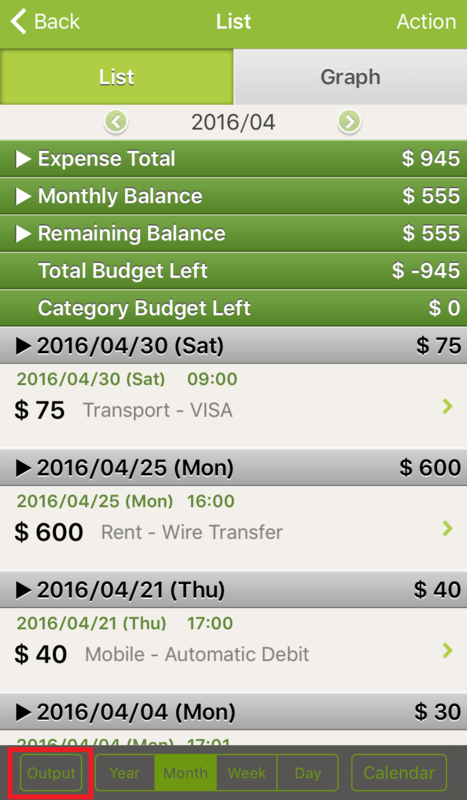 You will find detailed descriptions about the Cloud Sync feature and how to use it to share a budget. 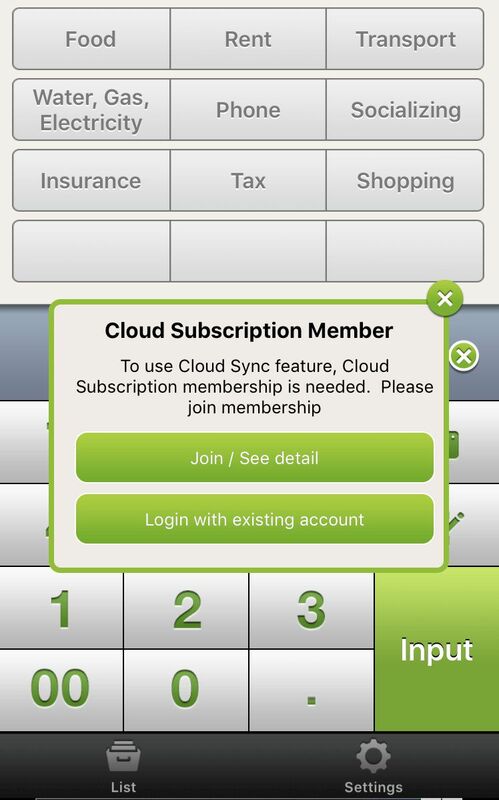 You can access and edit your spending data from multiple devices with the cloud sync feature. The expenses you enter will be automatically updated each time you are connected to internet. 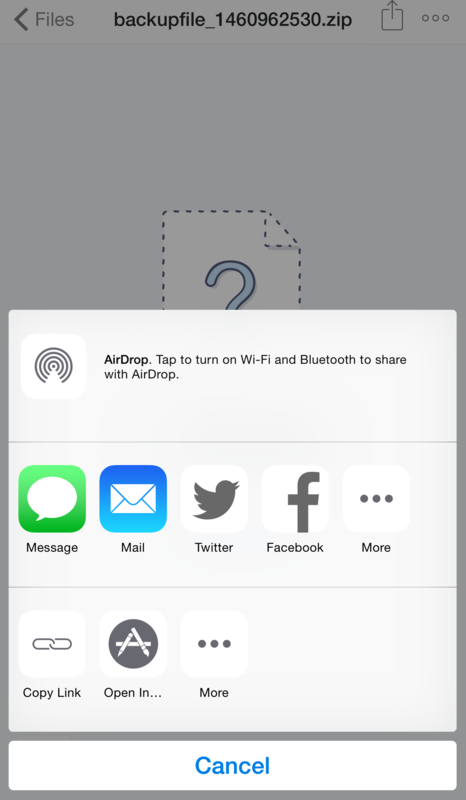 You only need one Cloud Sync account that you can share with the people you want. Excel and spreadsheets are a widely used tool to help maintaining a budget along with pen and paper. 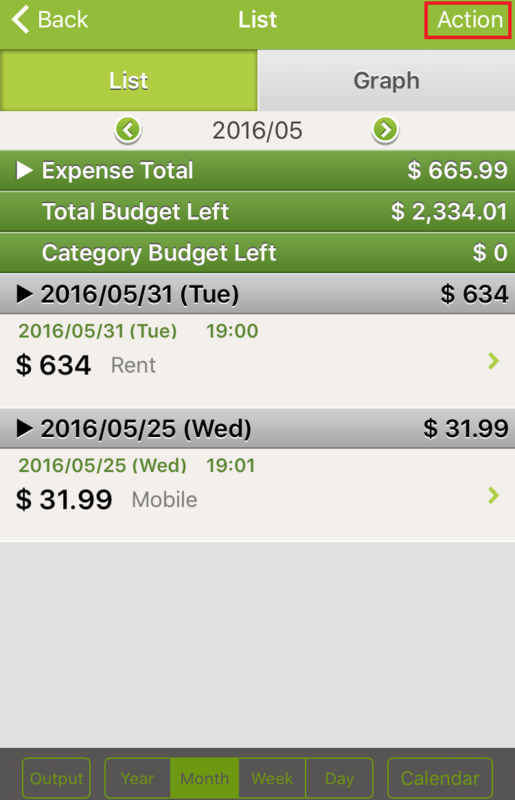 Excel and spreadsheets are powerful tools to record and maintain your spending. 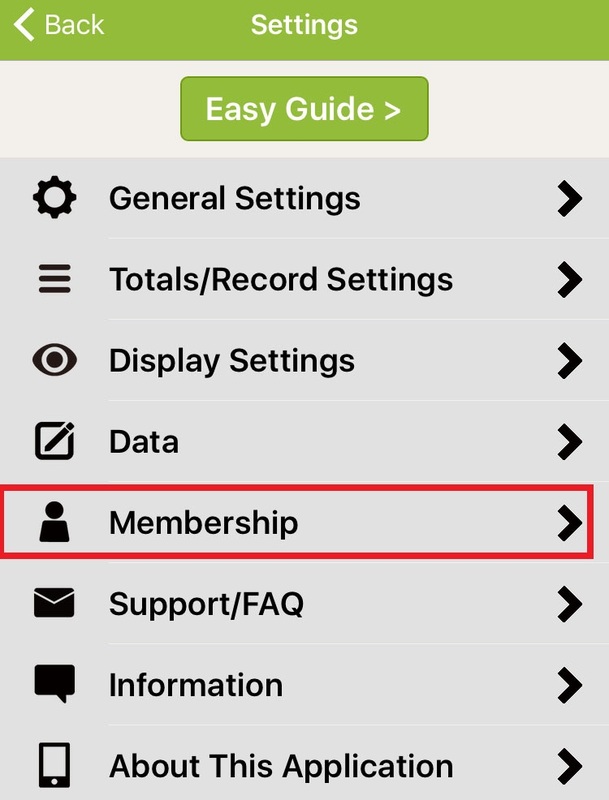 We know that this is important for QMR users who need to reconcile expenses or send an expense report. You will find below how to export your budget in excel in just a few simple steps. 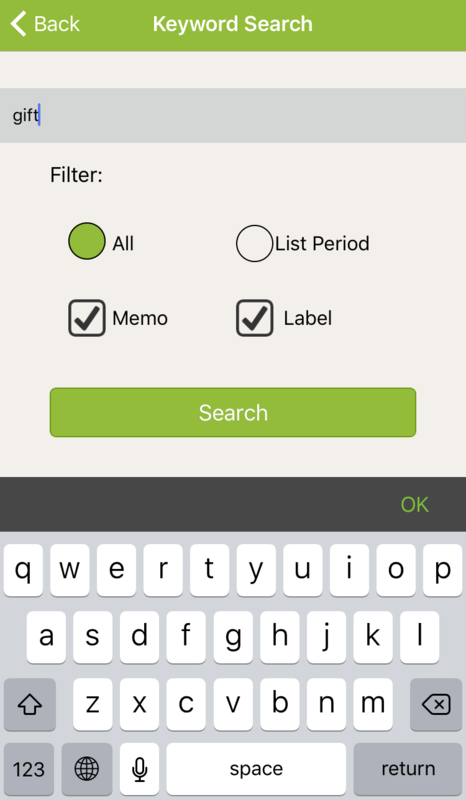 From the “List” screen, press “Output” at the bottom left. 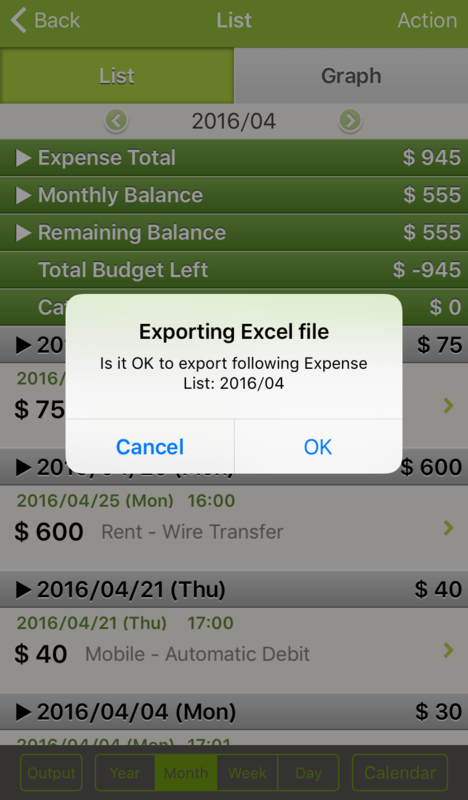 You will then see a pop up window asking you to confirm that you want to export your expense data to excel. 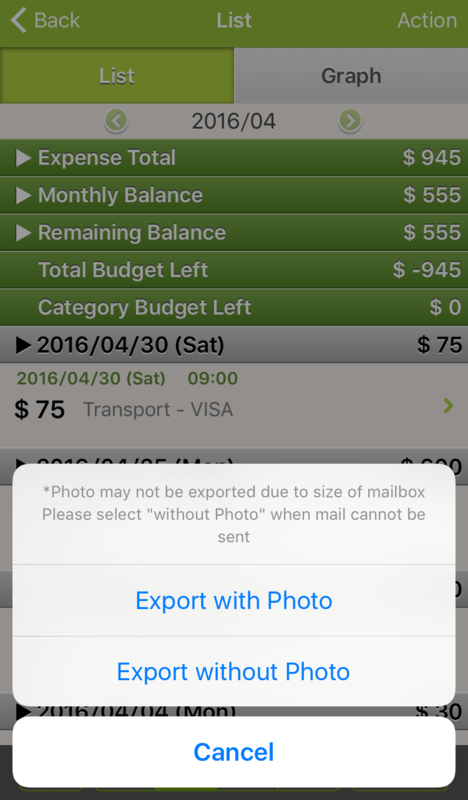 You can choose to export your transaction history or just your monthly budget. You can choose to include your receipt pictures but please note that email servers often have size limitations for attachments. 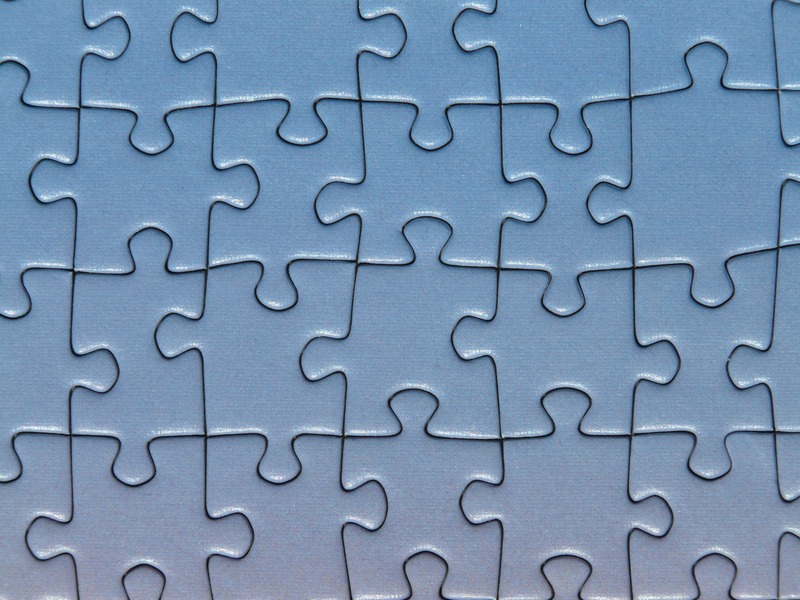 If the file size is too large, your email server may not be able to send the message. This is how your budgeting data will look like in excel. 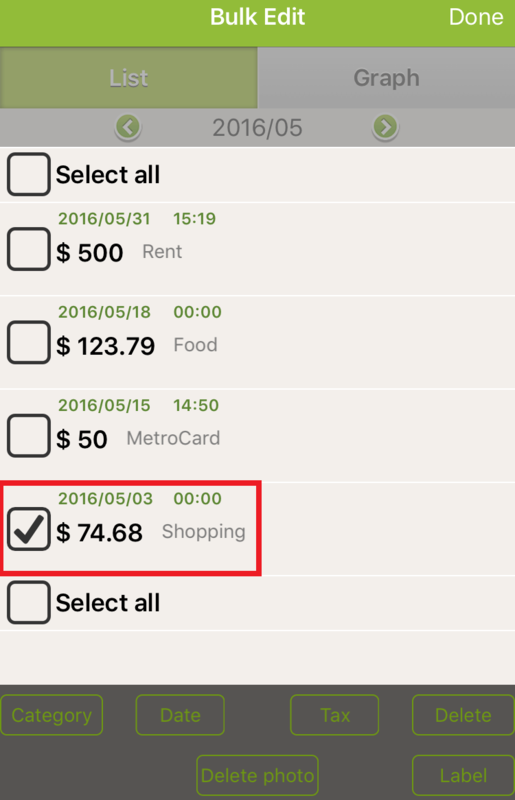 You can make amendments or reconcile the household’s budget with your partner’s data. 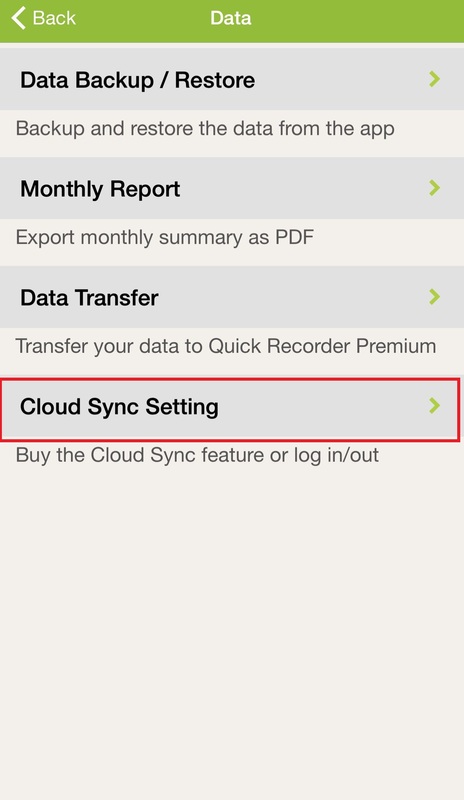 If you need more tips about how to use Quick Money Recorder, check this blog post about how to backup your data.